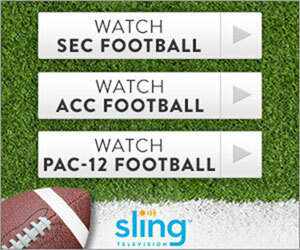 This Sling TV Blue subscription comes with ALL Extra packages and includes DVR, HBO, Cinemax, Showtime, Epix, Starz for an additional $54 per month. Get Sports, Comedy, Kids, New, Lifestyle, Hollywood and Heartland Extras all in one. This is a complete package. Due to the sheer number of combinations (16,000+) available with Sling I’ve decided to combine them all here just so you can choose based on multiple channel selection. Total price you’ll need to pay will be lower and will depend on the channels and Extra packs you choose. Up to 3 simultaneous streams are supported and DVR can be added for additional $5/mo. DVR service is NOT included in the base service but 50 hour DVR service can be added for $5/mo. You can stream on up to 3 devices simultaneously. There is only one user profile available. This service option includes DVR, HBO, Cinemax, Showtime, Epix, Starz for an additional $54 per month.